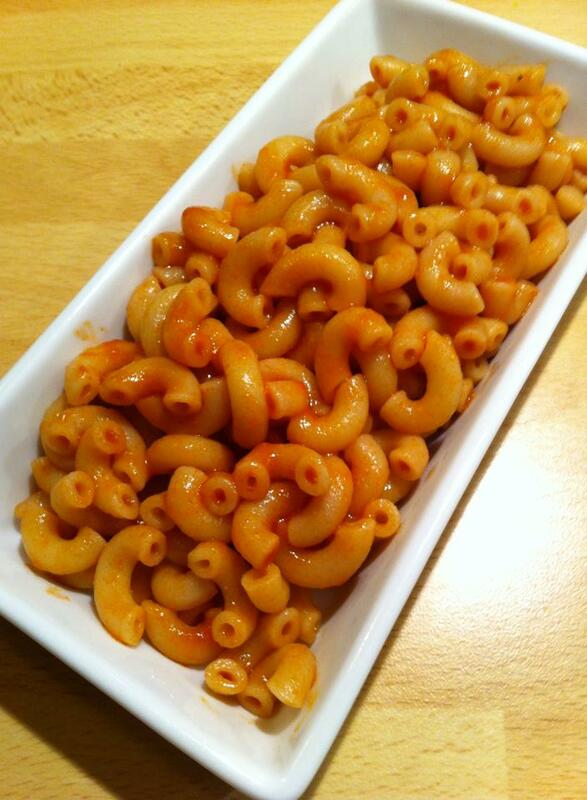 Red macaroni, Arabian style. To cook the macaroni so this was new to me until I visited a family in Egypt who taught me this. Macaroni can easily become boring but these make the macaroni to a new style. It will be so wonderful juicy and tasty. Boil the macaroni as usual. Meanwhile, heat the oil, add the garlic and tomato paste. Let it sizzle for a minute. Add the harissa and they passed the tomatoes. Turn off the water to the pre-cooked macaroni. Turn them down along with the tomatoes. Let them cook on low heat for a few minutes. Add possibly some water. When the macaroni seems drinking tomatoes, they are finished. Harissa in pasta is one of my favorite dishes. Yum! Ah, egyptian pasta =) I love this, my grandmother makes the best sauce. And also just to make it a bit stranger she usually serves it with french fries and kofta… just because she knows that we crazy Swedes love meat and potatoes =) Haha, it’s just so craxy that it’s delicious!